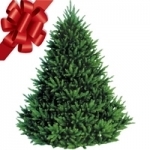 Fraser fir is widely used as a Christmas tree. Its fragrance, shape, strong limbs, and ability to retain its soft needles for a long time when cut (which do not prick easily when hanging ornaments) make it one of the best trees. What do you think of when you hear about living Christmas trees? Do you think of large, beautiful, fresh trees? Most people often think of evergreens that are small and grown in containers that get brought indoors around the holidays. That was until they heard about The Norfolk Island Pine! Stop by Lakeland Yard and Garden Center! 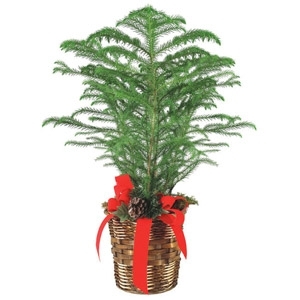 The Norfolk Pine is another great option for having a LIVE Christmas tree during the holiday seasons!